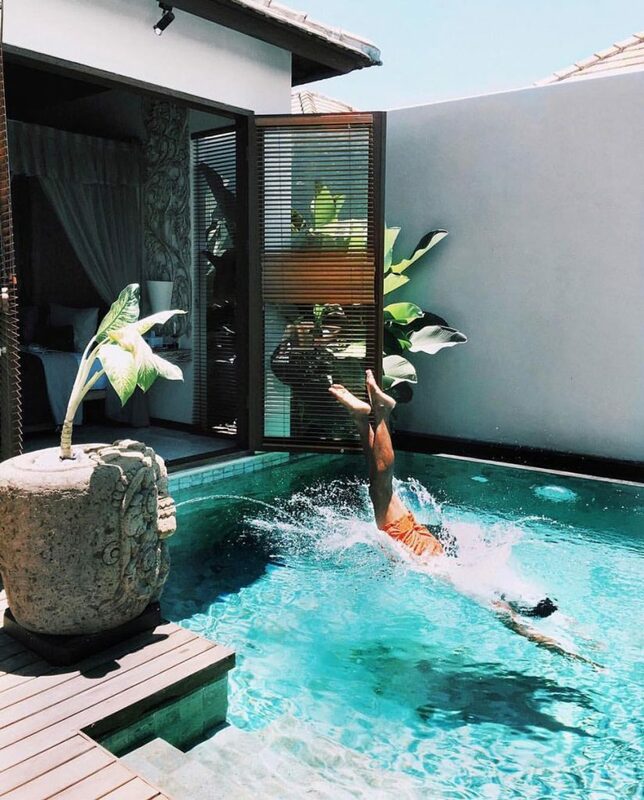 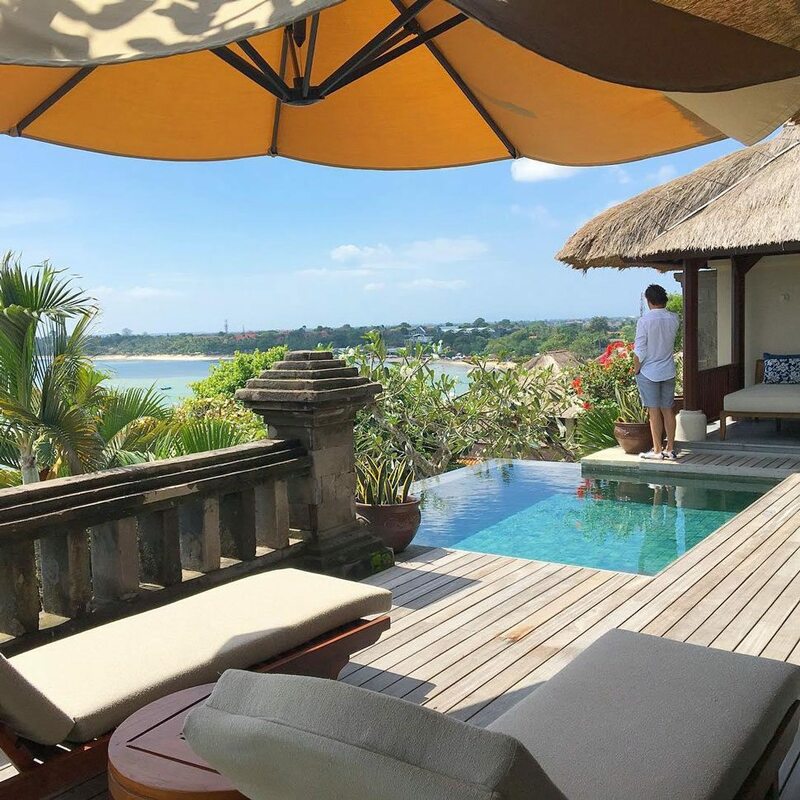 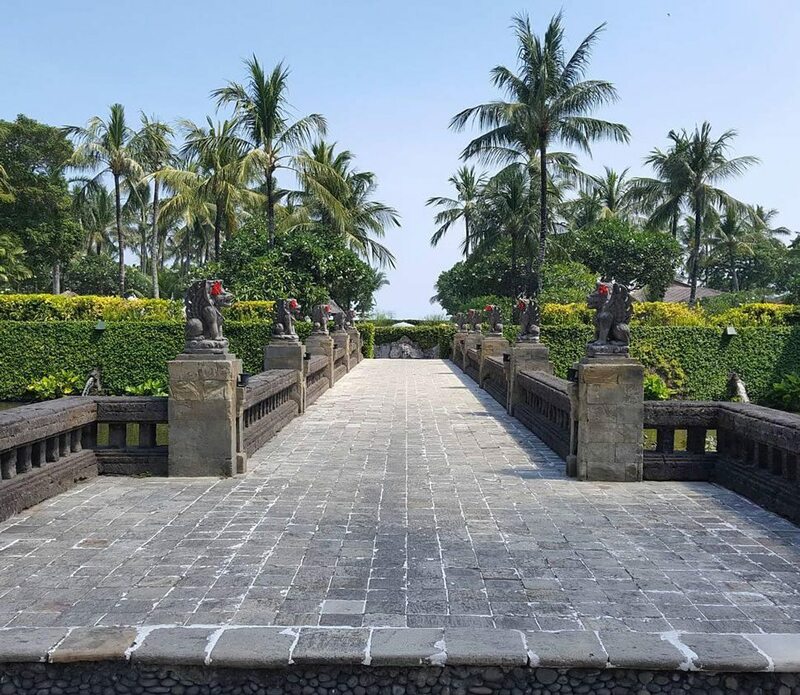 Among the most picturesque sights in Bali? 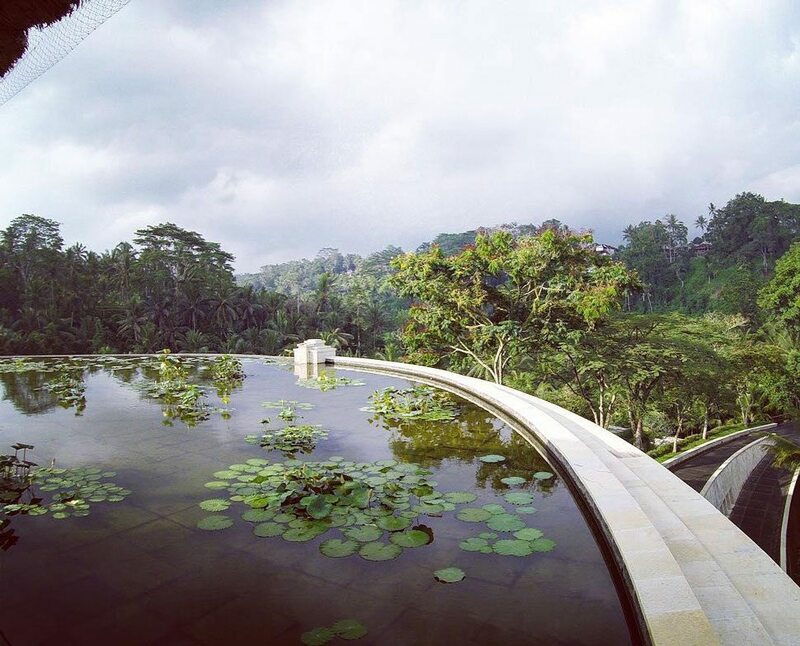 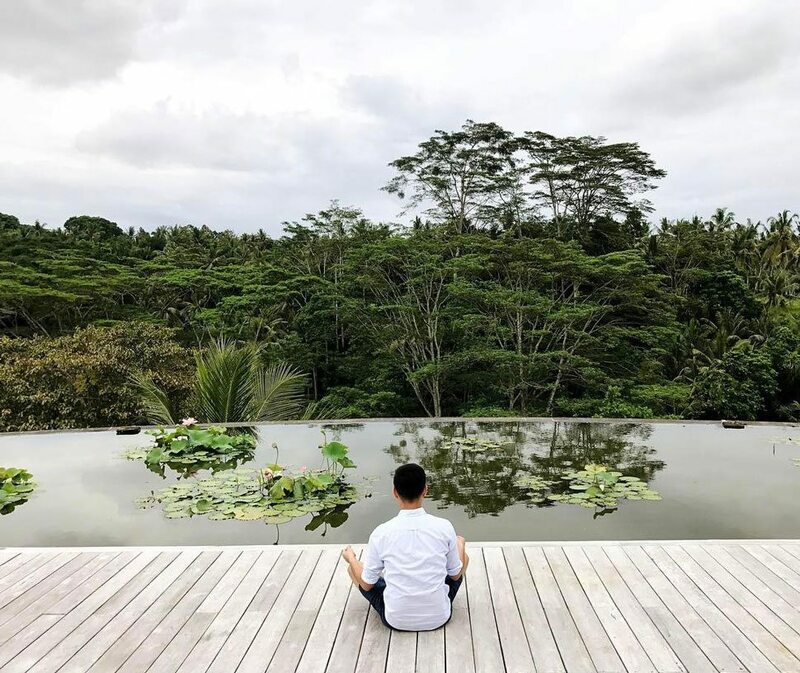 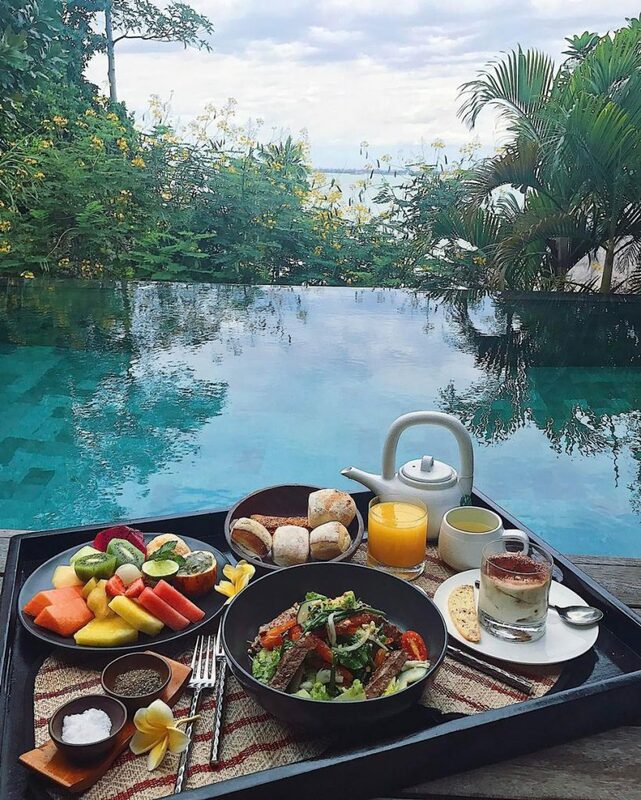 The Rooftop Lotus Pond at Four Seasons Resort Bali at Sayan, which offers panoramic views of the surrounding forest. 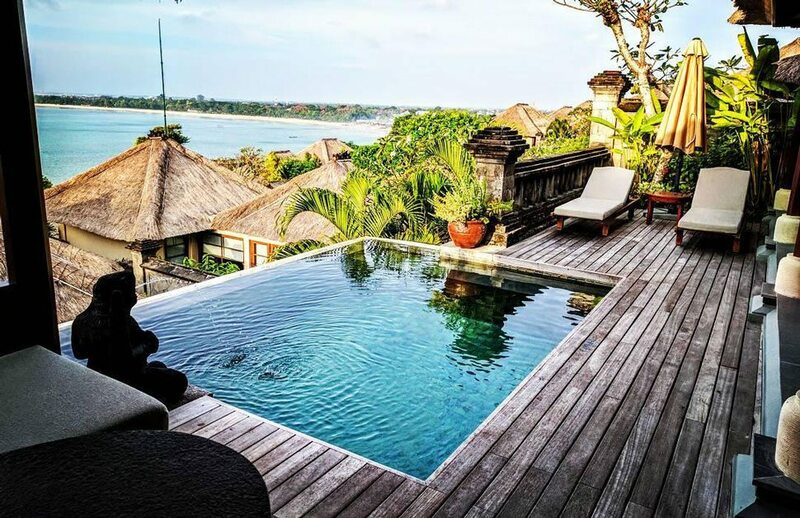 Crystal-clear waters, vivid coral reefs, lush jungles, historic cultural sites: The island of Bali is a picture-perfect tropical paradise. 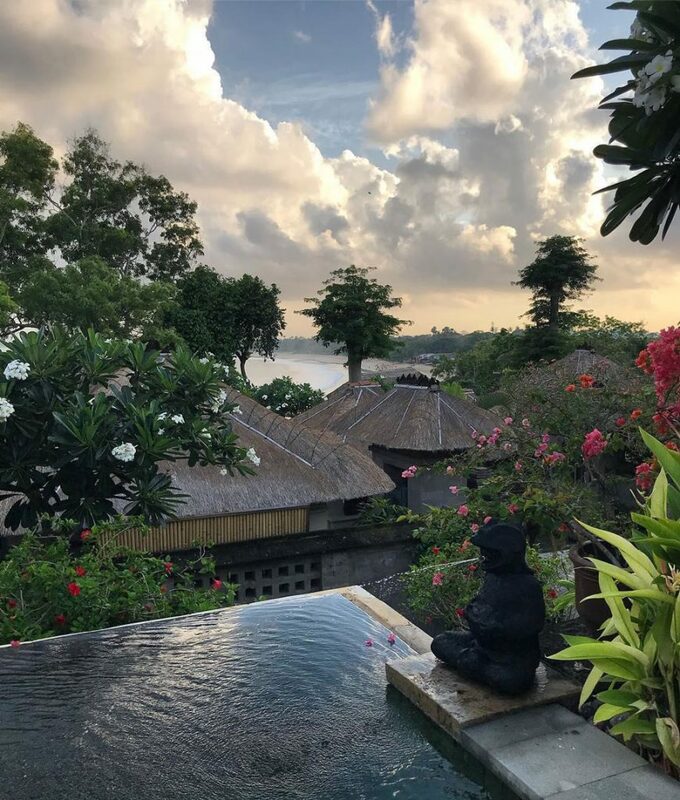 Find inspiration at one of the thousands of ancient temples, catch a glimpse of rare wildlife at a leafy sanctuary, or greet the sun from the peak of Mount Batur – whatever the adventure, photo opportunities abound. 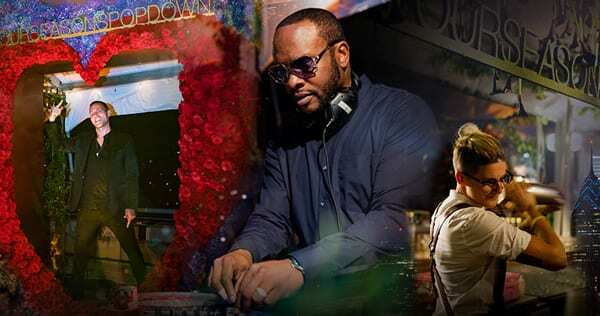 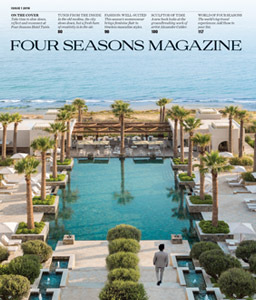 Here are a few ways to take in the best of the island, as documented by Four Seasons experts and guests. 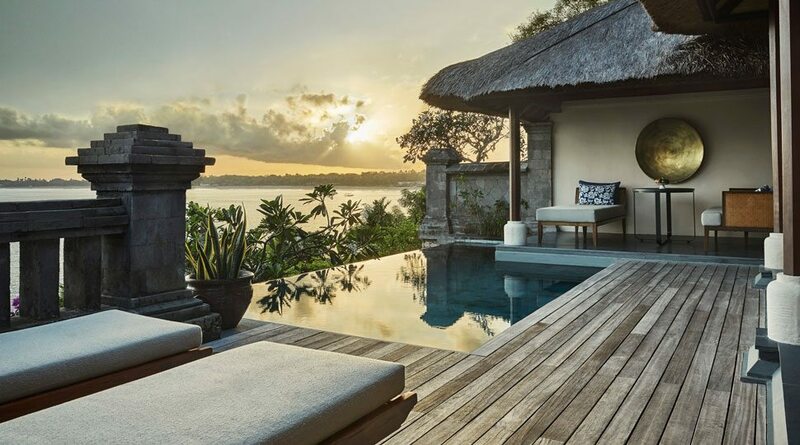 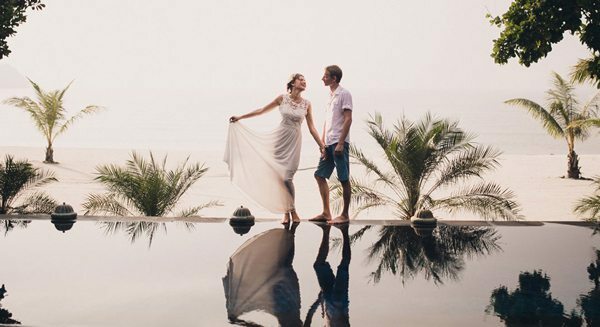 Looking to test the waters beyond your thatched-roof villa? 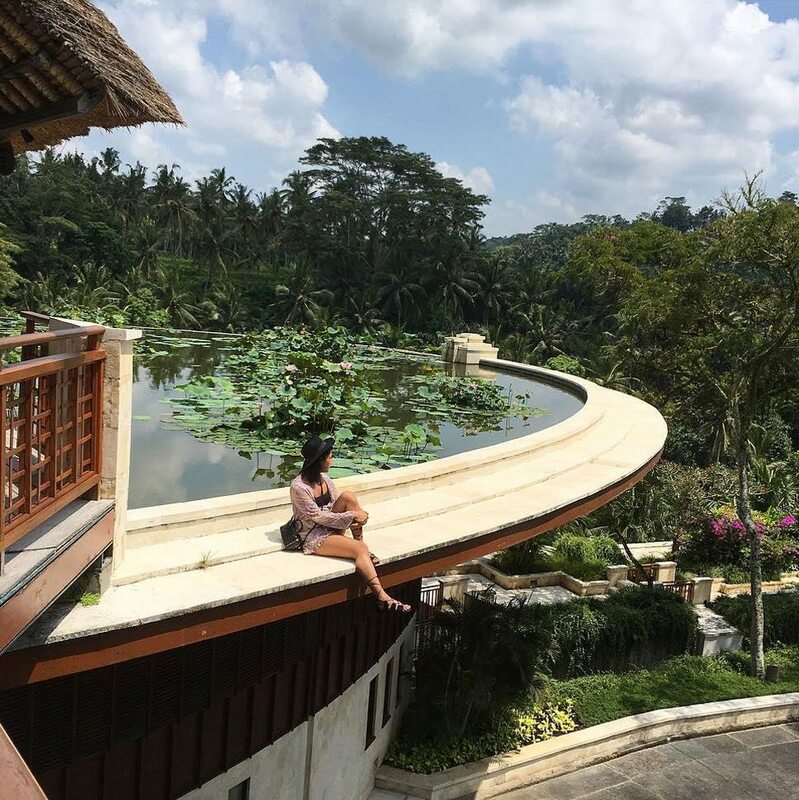 Asia’s top waterpark, Waterbom Bali, offers outdoor adventures from an adrenaline-pumping shoot down a transparent waterslide to a calm float along a lazy river under a canopy of trees. 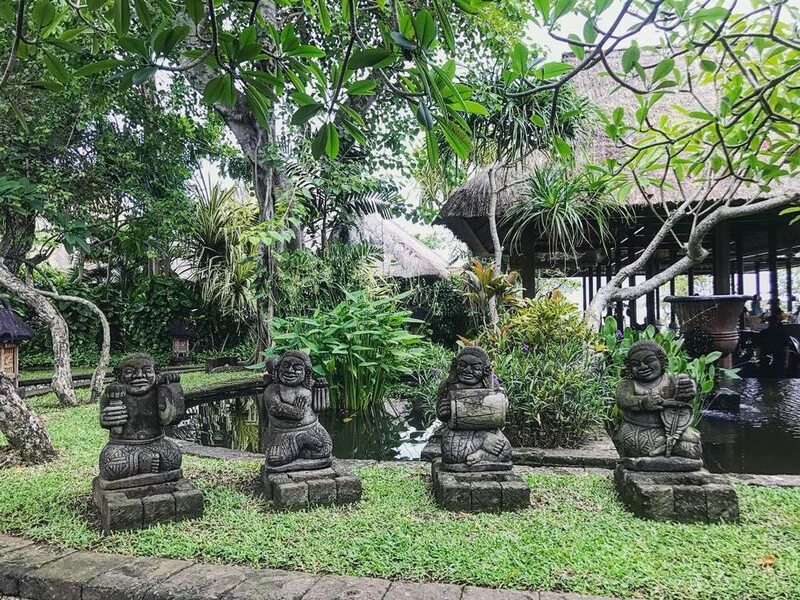 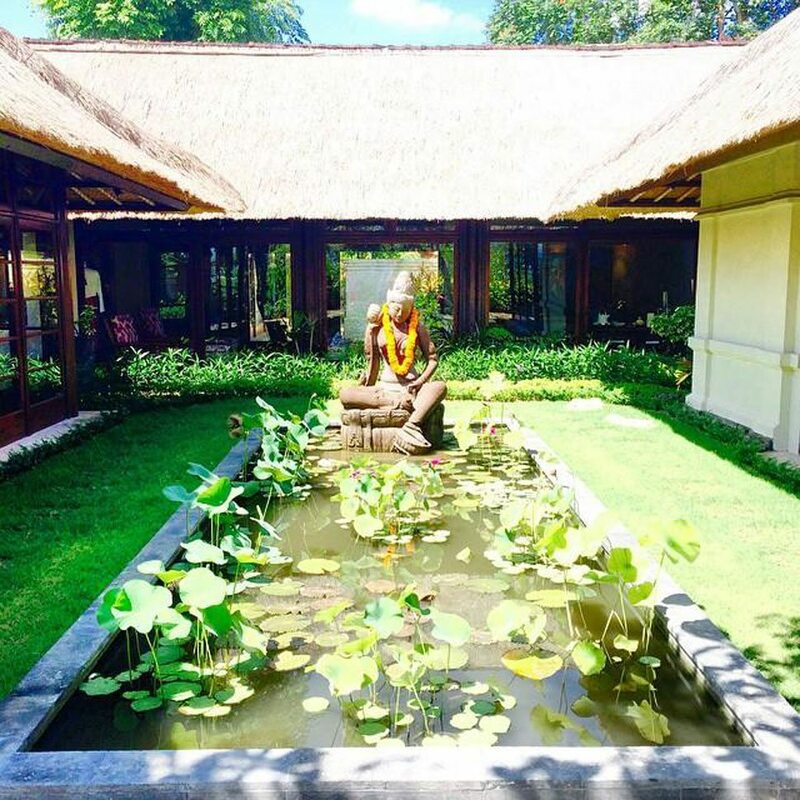 More than 1,500 stone statues and 300 shrines dot the Resort’s leafy property, many visited by staff and neighbouring villagers as part of their daily rituals. 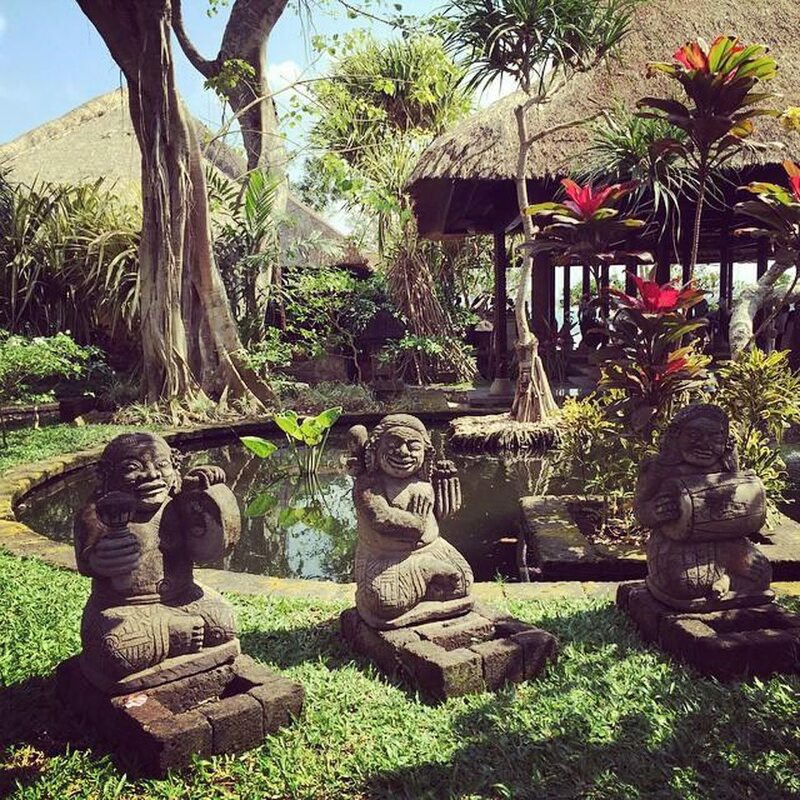 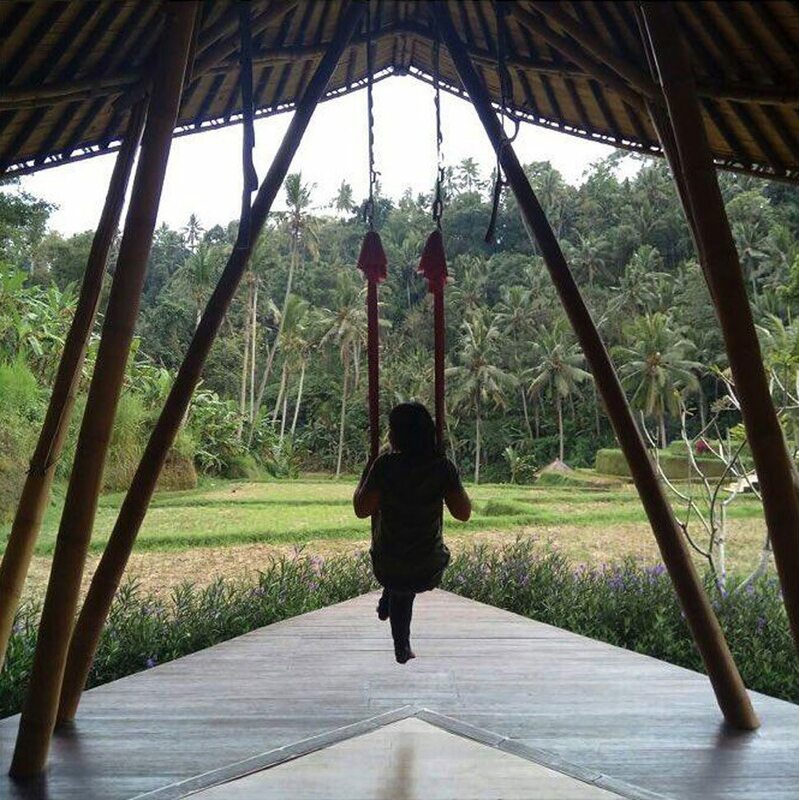 “The Balinese call a shrine pelinggih, meaning ‘place or seat,’” says Resort Priest Aji Ngurah. 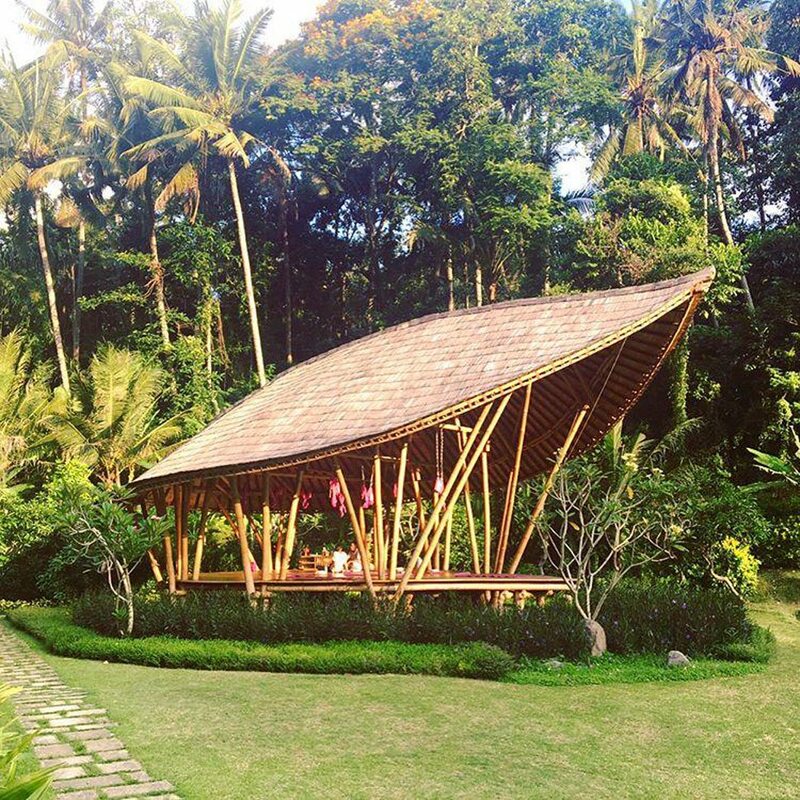 “Simpler than temples, they’re built as a residence for sacred or holy spirits, which can be ancestors or Hindu deities. 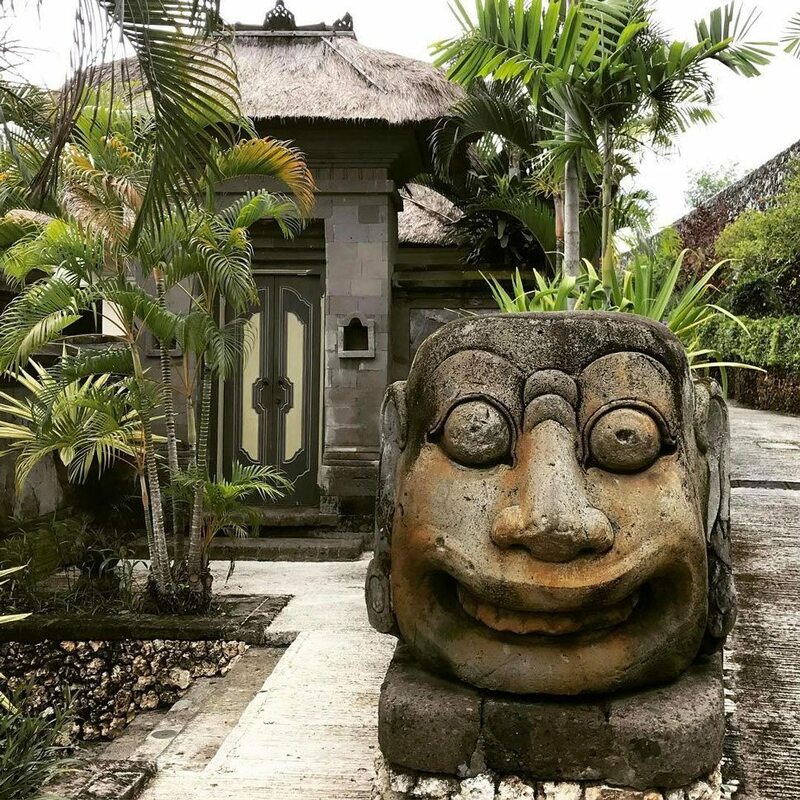 Shrines are considered a permanent or temporary place where offerings are made.” One such example: the Resort’s historical Hindu temple, a 17th-century shrine overseen by Ngurah where offerings are made to the gods daily by a resident pemangku (priest) and his daughter. 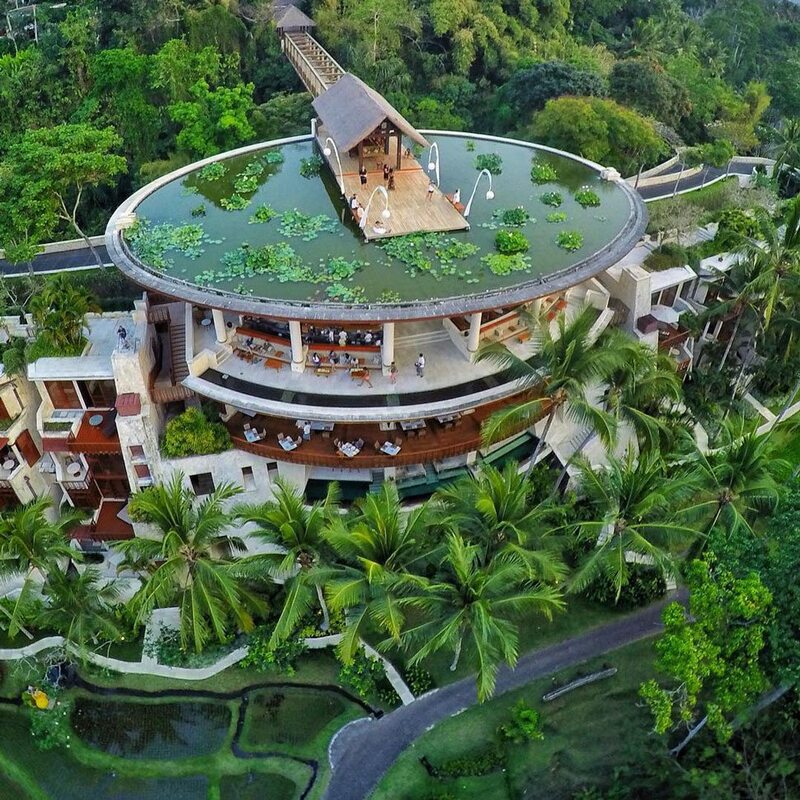 Don’t miss the clifftop Uluwatu Temple, built in the 11th century. 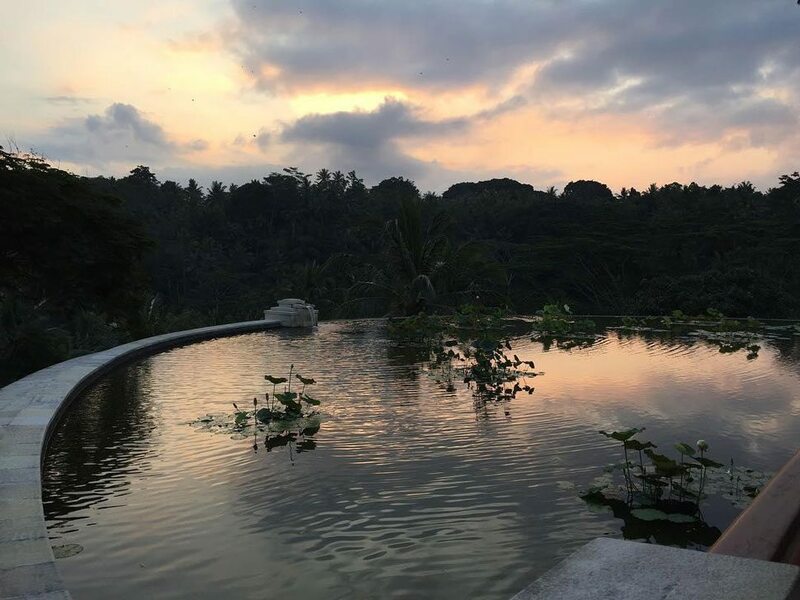 Locals recommend visiting at sunset, when you can watch the surrounding sea turn orange and pink in the twilight. 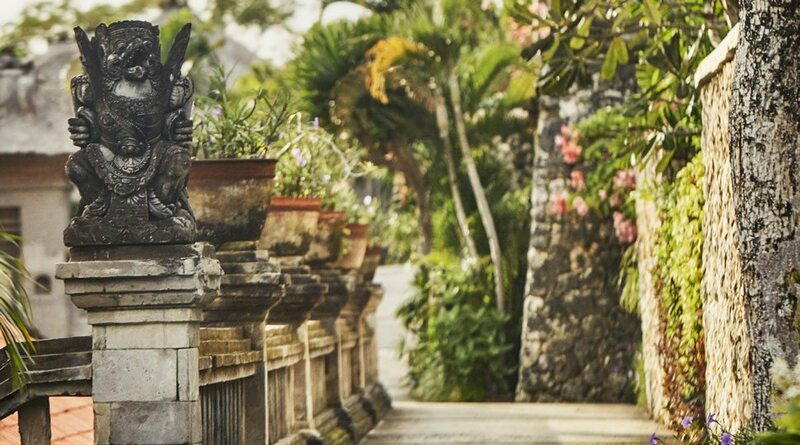 Just be sure to keep an eye out for the temple’s resident pickpocket monkeys. 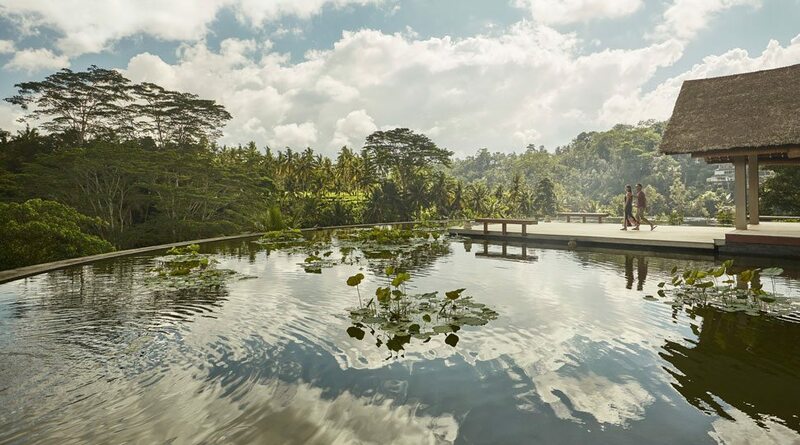 For another chance to interact with the surrounding inhabitants, don’t miss the Ubud Monkey Forest – a leafy sanctuary home to 700 macaque monkeys – or the Bali Bird Park, where 250 kinds of fowl are organised by country of origin. 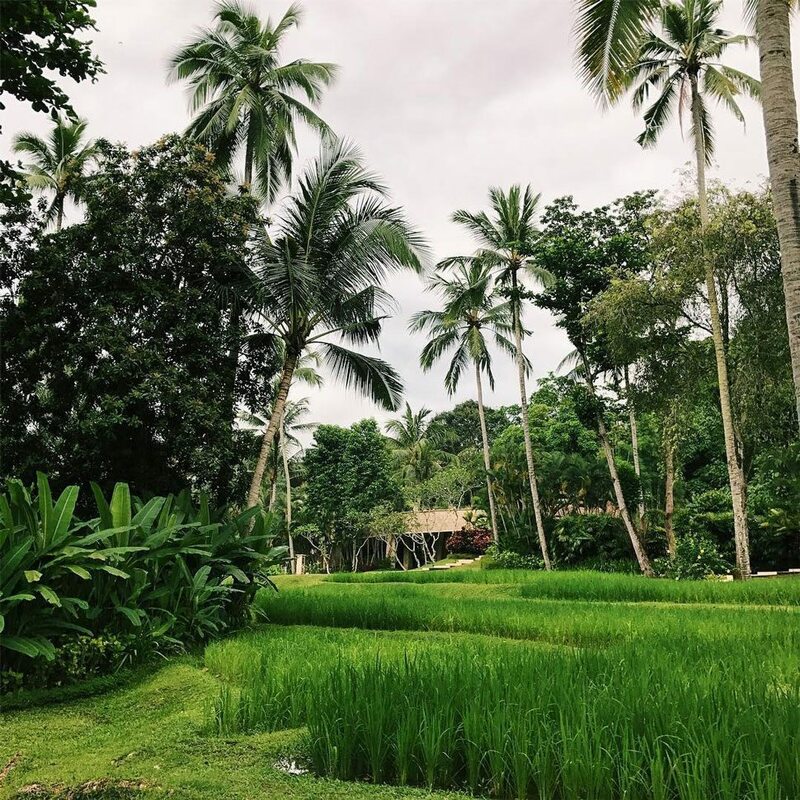 Stop by the Owl House to see Malaysian barred eagle-owl and then make your way to the Balinese jungle exhibit to encounter stark white Bali starlings, reportedly the rarest bird on earth. 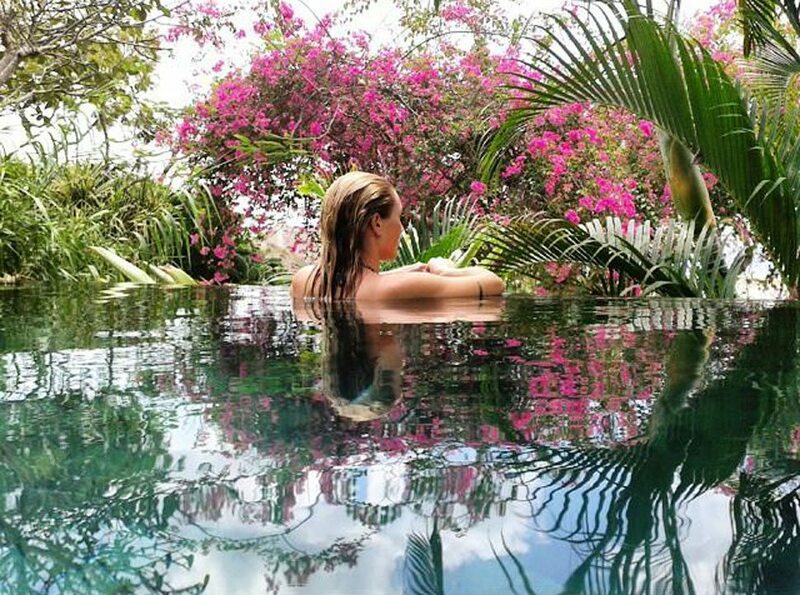 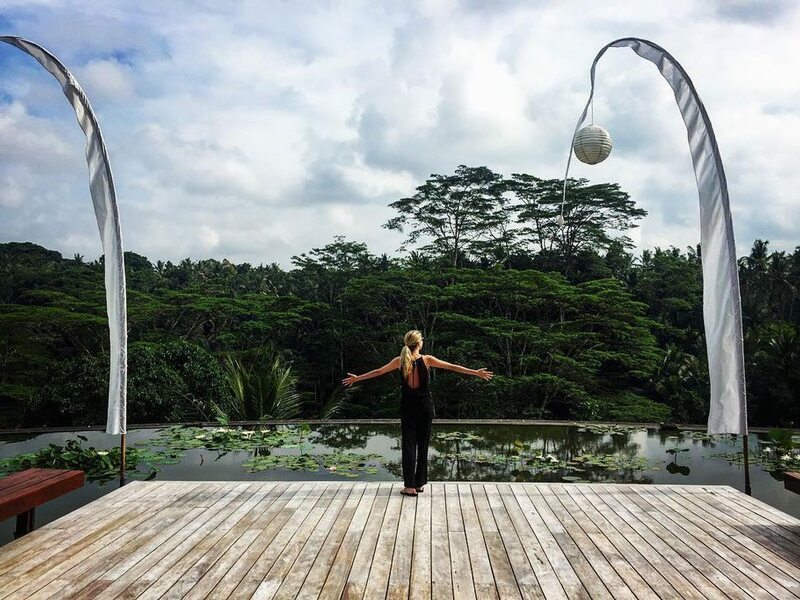 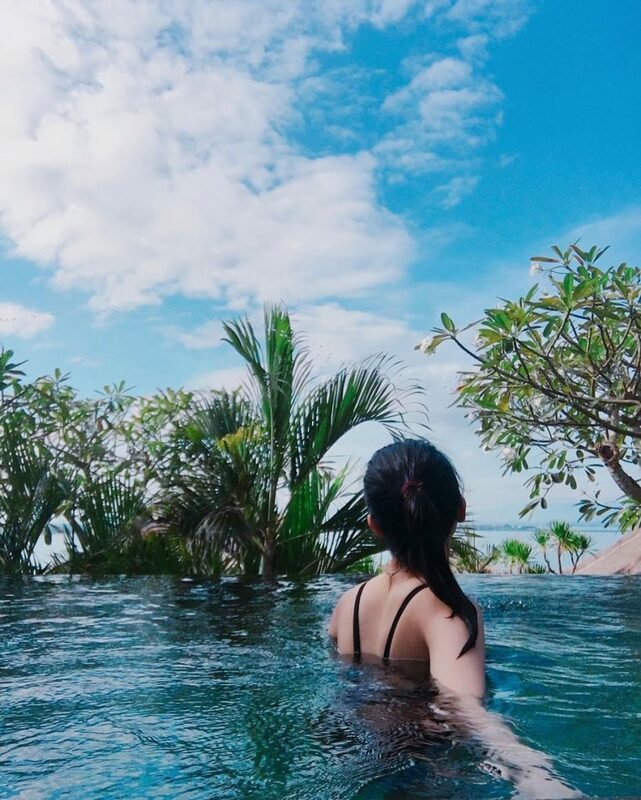 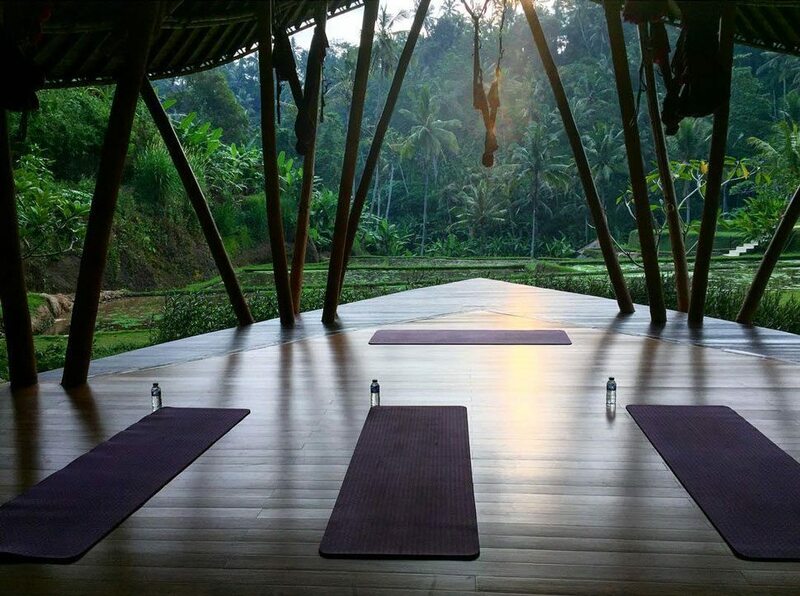 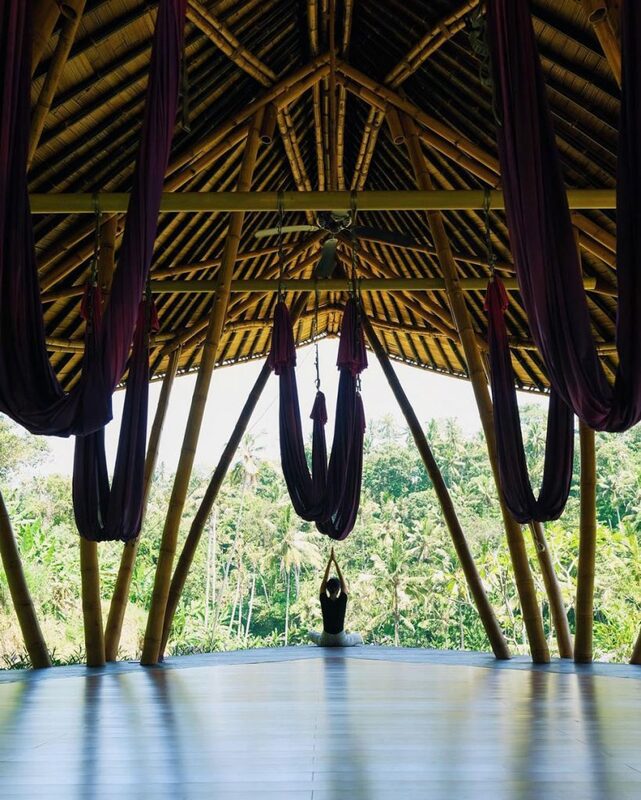 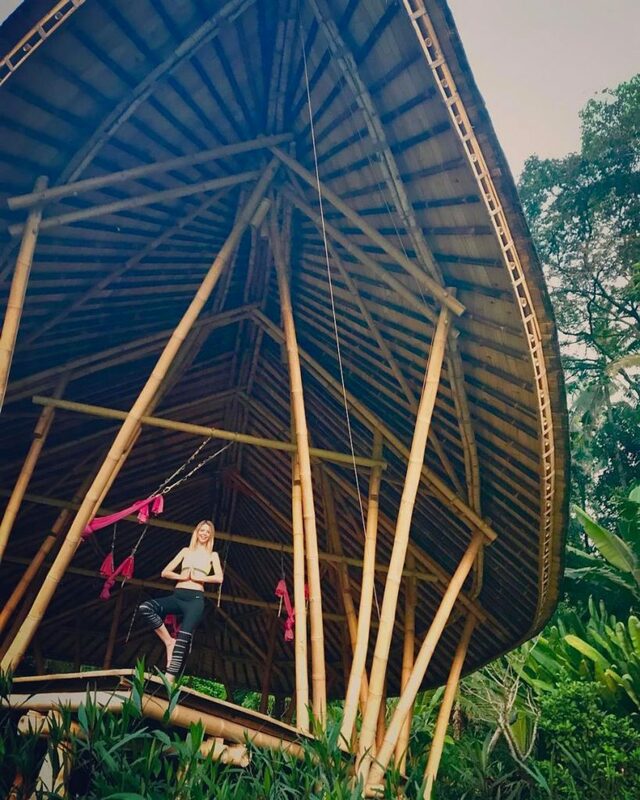 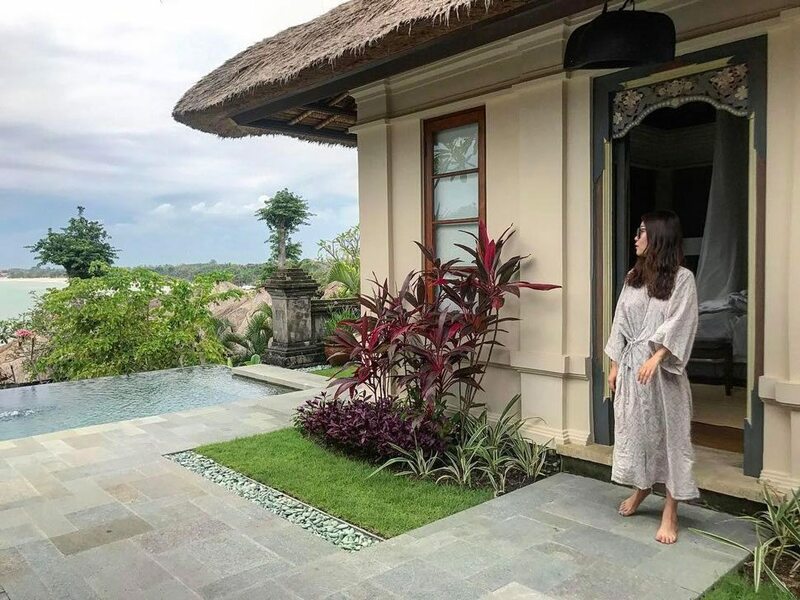 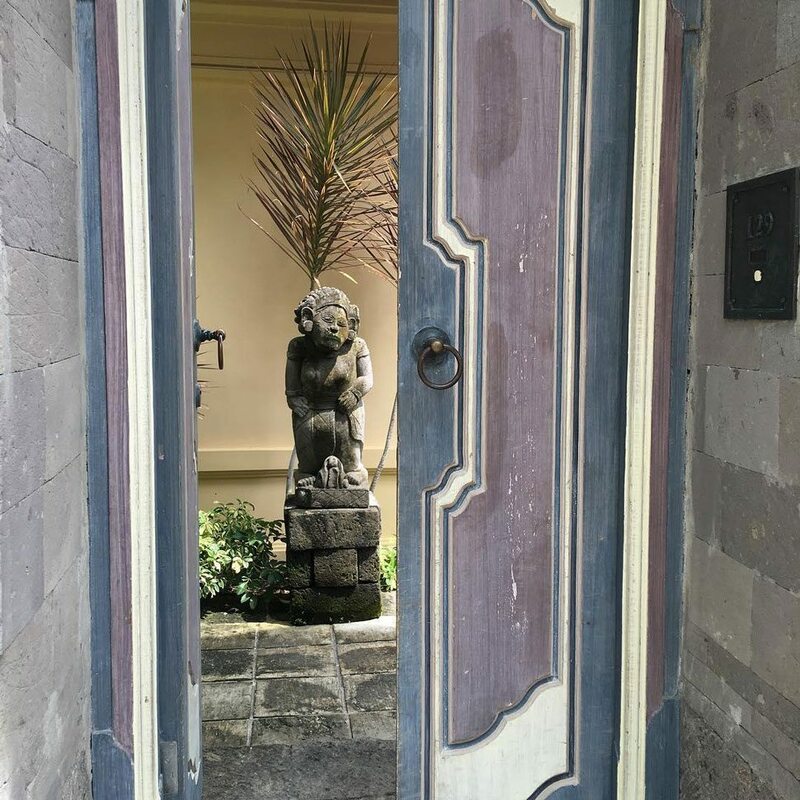 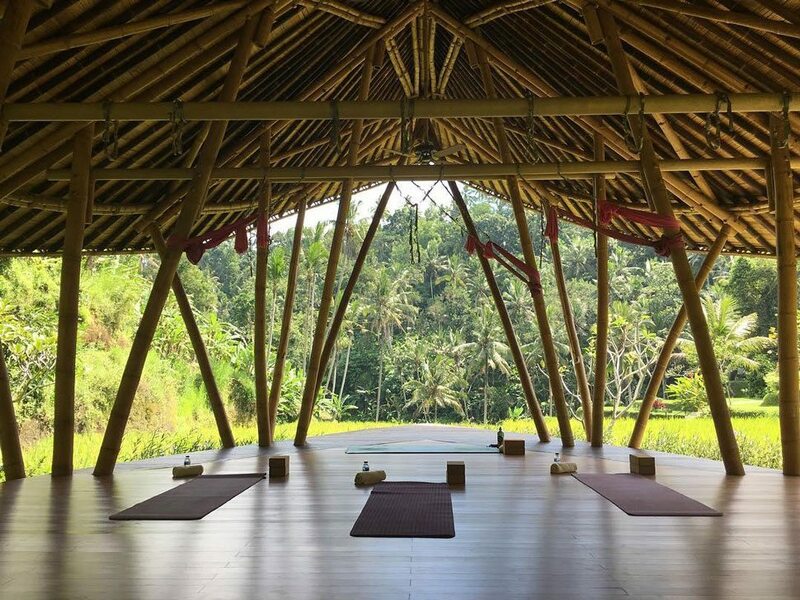 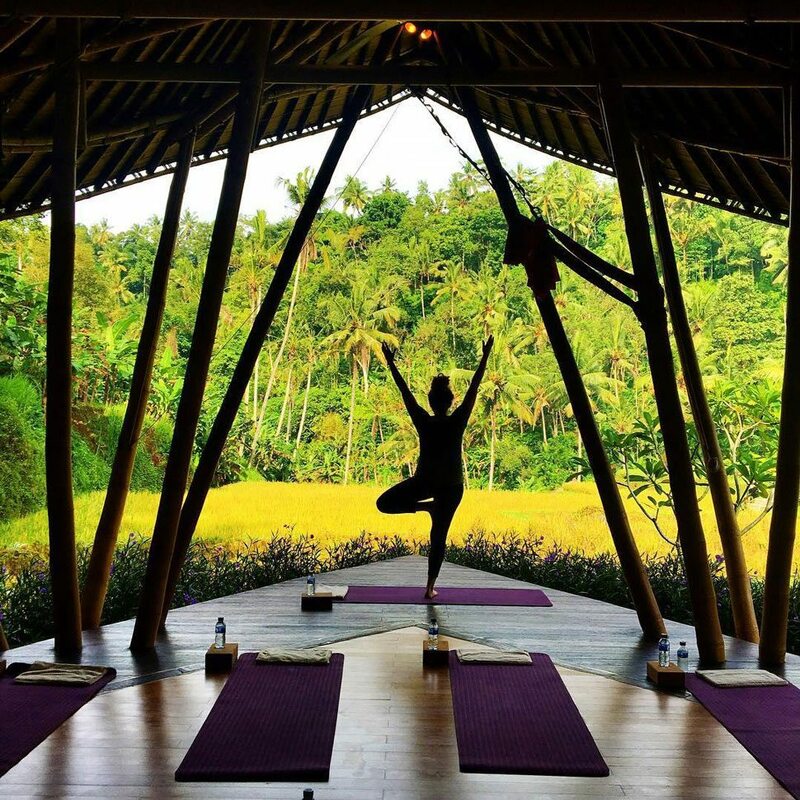 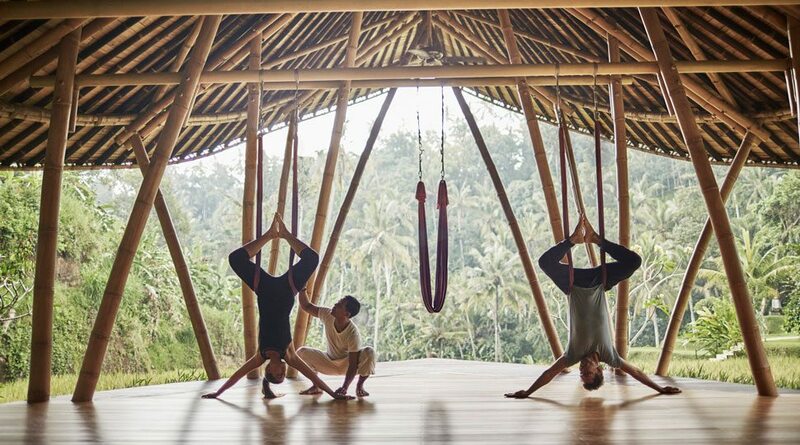 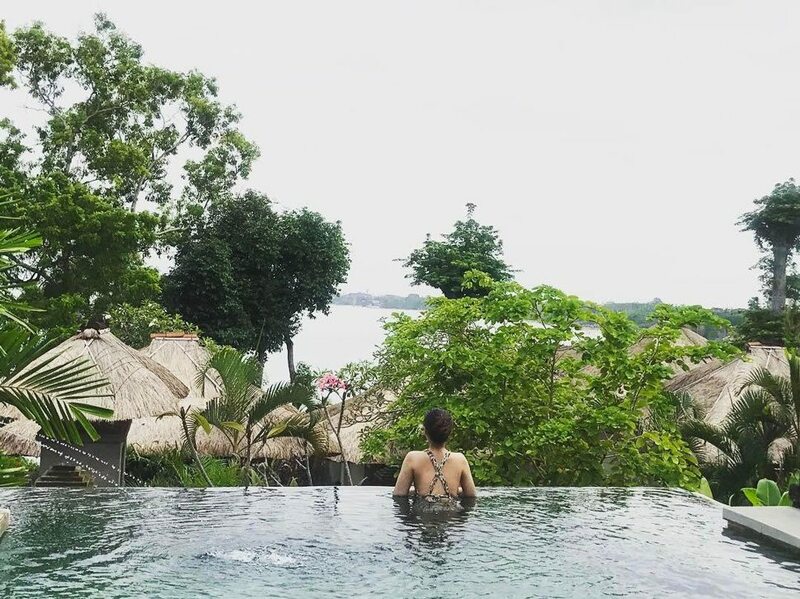 Connect to the natural world while melting tension with a Restorative Hot Stone Yoga session: Heated pebbles from the sacred Ayung River are placed on the body during each pose, a treatment rumoured to buoy the immune system. 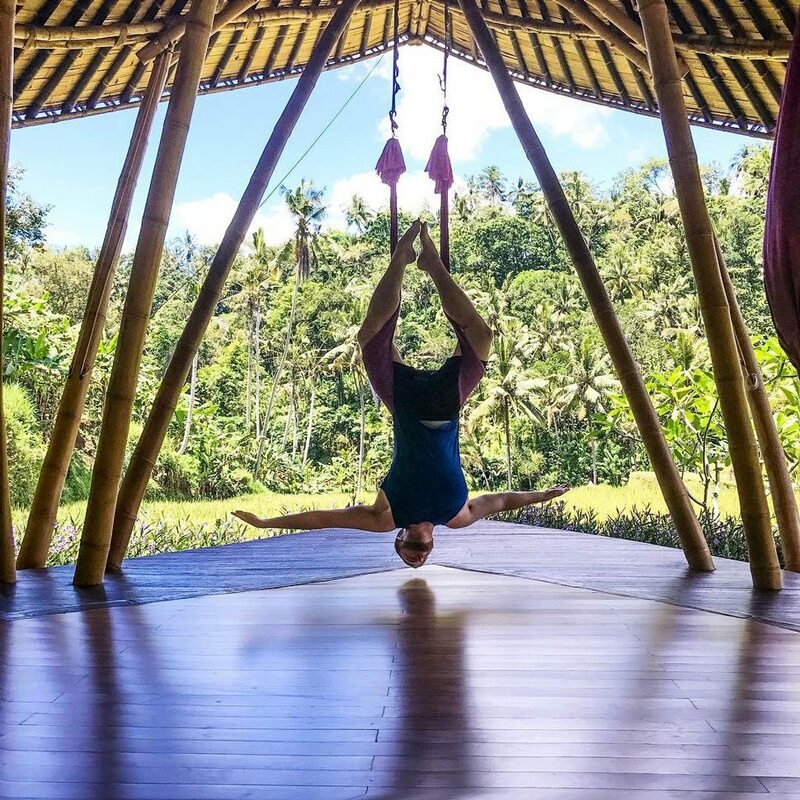 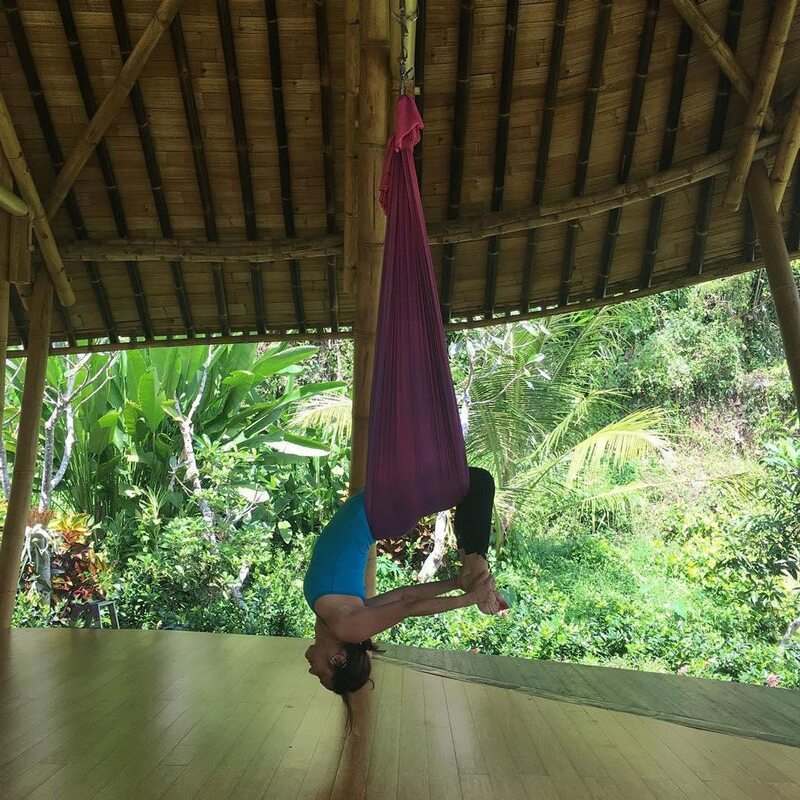 Or try an AntiGravity Yoga session, created by a group of gymnasts led by Broadway dancer and world-class athlete Christopher Harrison. 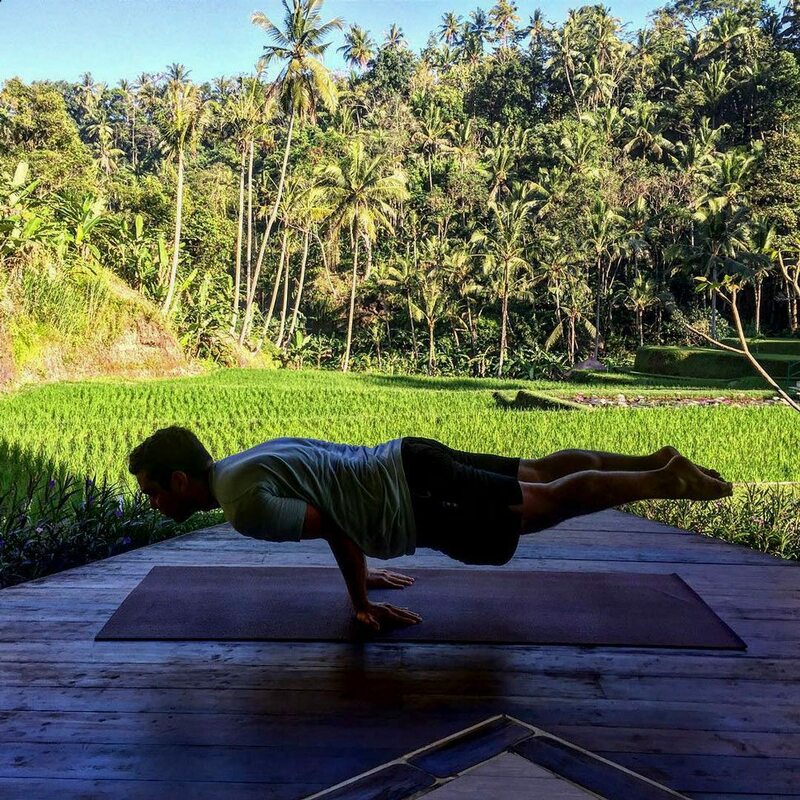 Looking for something a little more strenuous? 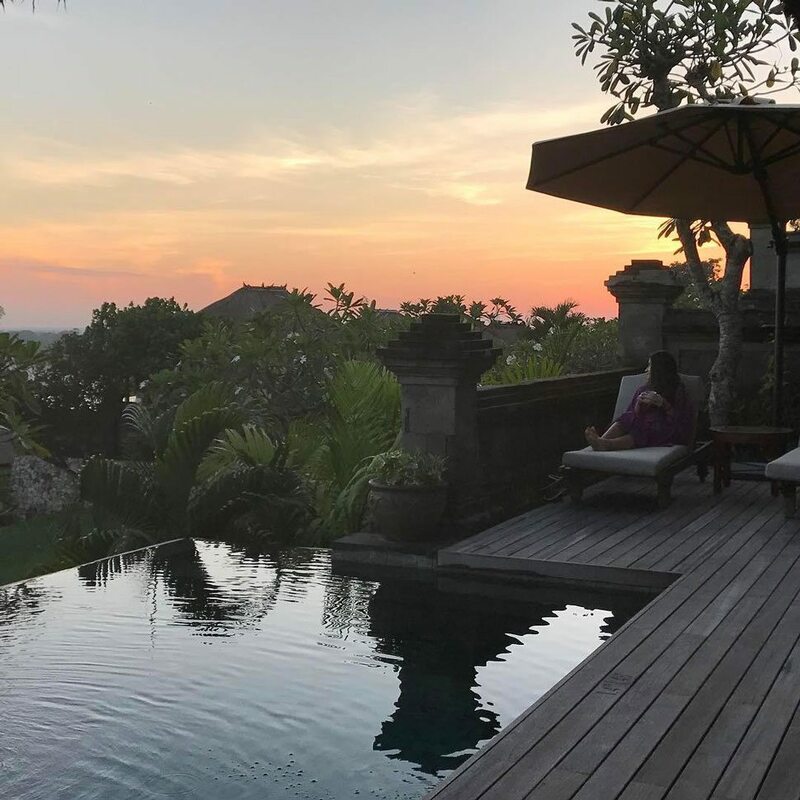 Join the local guides of Bali Sunrise Hike on a trek at dawn to the peak of 1,717-metre-tall Mount Batur, just over an hour’s drive from the Resort.